Arieahn Matamonasa Bennett, PhD. is an Associate Professor at DePaul University in Chicago and a Licensed Psychologist. She is a life-long horsewoman who has partnered with horses in educational and therapeutic settings since 2006. She has researched, published and presented on topics in HAI internationally and currently serves as a book reviewer for HAIB. Dr. Phyllis Erdman, PhD is a professor in the Counseling Psychology program and Executive Associate Dean for Academic Affairs in the College of Education at Washington State University (WSU). Dr. Erdman has conducted research in parent/child relationships and human-animal interaction (HAI), specifically looking at the effectiveness of equine facilitated activities. She is past chair of the Section on Human-Animal Interaction, Society of Counseling Psychology, American Psychological Association. 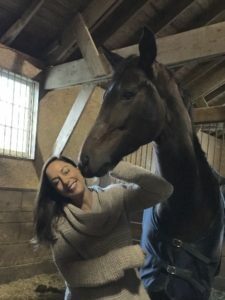 She served as a consultant on a $ 100,000 NIH Grant in 2010-2012 to measure the impact of an equine facilitated program on children’s stress levels and social competence development. She also completed studies on the impact of equine programs on social skills development for children on the autism spectrum. She works with the PATH Therapeutic Riding Program at WSU and provides programs in equine activities directed with youth, parent child teams and Veterans. She also works closely with colleagues in the College of Veterinary Medicine at WSU, particularly focused on pet loss/grief and infusing the human-animal bond into Veterinary practice. She has created an online non-credit course at WSU entitled: Human-Animal Interaction: What We Know and What We Don’t Know. Her goal is to promote the field of human-interaction within a multidisciplinary framework. Dr. Aubrey Fine Ed.D., Professor Emeritus of Education is a native of Montreal, Canada. He received his graduate degree from University of Cincinnati in 1982. Dr. Fine has been on the faculty at California State Polytechnic University 1981. His leadership among faculty and teaching excellence earned him the prestigious Wang Award in 2001, given to a distinguished professor within the California State University system (23 Universities). 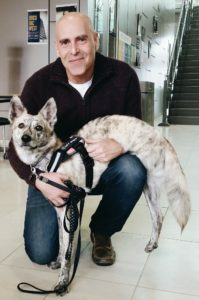 Dr. Fine is the author of several books including, The Handbook on Animal Assisted Therapy, Our Faithful Companions, The Parent Child Dance, Therapist’s Guide to Learning and Attention Disorders, Fathers and Sons, The Total Sports Experience for Children, Give a Dog Your Heart, and Afternoons with Puppy. In July of 2016 he received the William McCulloch Award for Excellence in HAI Education and Practice from the International Association of Human Animal Interaction Organizations, in Paris France. Angela Fournier, PhD, LP holds a PhD in clinical psychology from Virginia Tech. She is a licensed psychologist in Minnesota and professor in the department of psychology at Bemidji State University. Dr. Fournier is certified in equine-assisted psychotherapy and learning (EAP) with Eagala and co-facilitates EAP at Eagle Vista Ranch & Wellness Center in Bemidji, MN. As director of the Human-Animal Interaction Laboratory, she conducts studies into the psychological processes and outcomes of human-animal interaction, focusing on development of theory and validated measures. Recent work includes development of the human-animal interaction scale, investigation of HAI in laboratory and applied settings, and exploration of psychosocial issues for professionals in animal-welfare work. Dr. Maya Gupta earned her BA from Columbia University, and both her master’s and PhD in clinical psychology from the University of Georgia. Her primary area of expertise is animal cruelty, including its connections to other forms of violence. She previously served as Executive Director of Ahimsa House, a Georgia nonprofit organization providing statewide services for victims of domestic violence who are concerned about the safety of their animals. She has spoken, consulted, and trained nationally and internationally on the development and evaluation of similar programs and community-level initiatives. She subsequently served as Executive Director of the Animals & Society Institute, a nonprofit working to improve and expand knowledge about human-animal relationships in order to create safer and more compassionate communities. She has also contracted for animal welfare organizations on program development and evaluation, served as a consultant for research on human-animal interaction, and provided expert witness services for animal cruelty cases. Dr. Gupta is currently Senior Director of Research for the American Society for the Prevention of Cruelty to Animals, focusing on research and program evaluation efforts in the areas of public policy, cruelty/disaster response, and community engagement. She is also an adjunct faculty member for the University of Florida Veterinary Forensic Sciences Program and the Master’s Program in Anthrozoology at Canisius College, and a guest lecturer/supervisor for the Veterinary Social Work Program at the University of Tennessee. Her professional service includes roles on the Steering Committee of the National Link Coalition, the Animal Cruelty Advisory Council of the Association of Prosecuting Attorneys, the Governing Body of the Section on Human-Animal Interaction in the American Psychological Association, the Board of Directors of Mojave Animal Protection, the Advisory Team of Pets for Vets, and the Advisory Council of Ahimsa House. Lynette Hart is Professor of Human-Animal Interactions and Animal Behavior at the UC Davis, School of Veterinary Medicine, where she teaches courses, leads research, and mentors students. She completed a PhD at Rutgers University in animal behavior and after arriving at UC Davis spearheaded data-based studies in the newly developing field of human-animal interactions, publishing well over 100 papers. From the early 1980s this work has particularly focused on service dogs, relationships of various groups with dogs or cats, and pet loss. She is a founding member and fellow of the International Society for Anthrozoology (ISAZ), and was selected as the first distinguished anthrozoologist in 2017. The special relationships of people with assistance/service dogs are a current research focus, as well as behavioral studies of elephants. Dr. Brinda Jegatheesan is Associate Professor in Educational Psychology at the University of Washington, Seattle. She specializes in educational and developmental psychology, medical anthropology and anthrozoology. Her research concerns the unexamined links between children and animals and the role animals play in their psychological wellbeing. She investigates the effects of child-animal interactions and AAI in multicultural children, child migrants/ refugees, children with psychiatric (autism and other developmental disabilities, PTSD) and medical issues and on the link between family violence, child abuse and animal abuse. Other areas of focus are animal welfare in AAI, One Health-One Welfare, bioethics in AAI and the psychology of bond-centered practice in veterinary medicine and human-animal interactions. 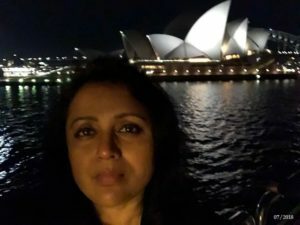 Brinda Jegatheesan is the Vice-President of the International Association of Human-Animal Interaction Organizations (IAHAIO) and a Fellow at the Institute of Human-Animal Connection at the University of Denver. 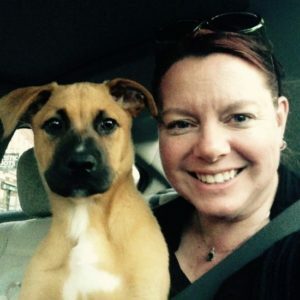 Amy Johnson, MAT, MA, LPC, CPDT-KA is the Director of the Center for Human Animal Interventions at Oakland University. She developed and implemented the online Animal Assisted Therapy Certificate Program at Oakland University in Rochester, Michigan, which began in 2007 and created and taught a course through the Honors College at Oakland University on the Human Animal Bond and Animal Assisted Therapy. Additionally, she developed and implemented an AAI that pairs adjudicated, at-risk and homeless youth with hard-to-adopt rescue dogs for a multi week, intensive therapeutic intervention called “Teacher’s Pet: Dogs and Kids Learning Together” (Michigan). From 2012-2014, she was co-PI on an NIHCD (Mars/Waltham) R03 study with Wayne State University (Detroit) that measured the efficacy of the AAI (Teacher’s Pet) at two residential detention facilities. She was also instrumental in getting the Competencies accepted and endorsed by the American Counseling Association (ACA) and is the co-facilitator of the ACA’s Human Animal Interventions in Counseling Interest Network. Karen Schaefer, PhD is a licensed Psychologist who has been living and practicing in Las Cruces since 1990. 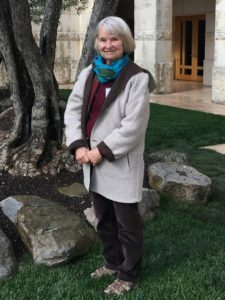 She received her Ph.D. in counseling psychology from the University of Illinois at Urbana Champaign and was the Director of Counseling & Student Development at New Mexico State University from 2009 until she retired in May 1, 2017. Prior to becoming Director, she was the Training Director at the NMSU Counseling Center for 17 years. Dr. Schaefer is currently in private practice and provides individual, couples and group therapy services. Her areas of professional interest and research include training and supervision; working with adult survivors of childhood abuse (physical, emotional, sexual, neglect); adult trauma survivors–including combat veterans; working with LGBTQ clients, individuals struggling with depression or grief and loss issues; offenders of abuse toward humans or animals, survivors who witnessed animal abuse, the healing aspects of human-animal interactions and the provision of animal assisted therapy as an adjunct to psychotherapy. She has presented on the link between animal abuse and human violence as well as the integration of animal assisted interventions in therapy. 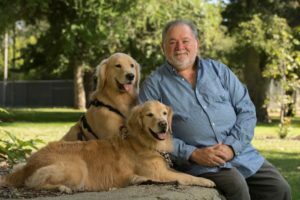 Additionally, Dr. Schaefer developed the Murphy’s Fund, to help those without the financial means access care for their animals from a local veterinarian specializing in home-based hospice care and in-home end of life/euthanasia services. Amy Johnson, MAT, MA, LPC, CPDT-KA is the Director of the Center for Human Animal Interventions at Oakland University. 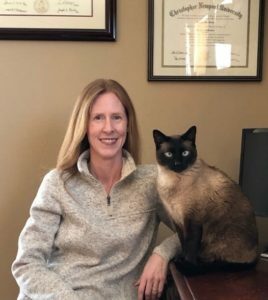 She developed and implemented the online Animal Assisted Therapy Certificate Program at Oakland University in Rochester, Michigan, which began in 2007 and created and taught a course through the Honors College at Oakland University on the Human Animal Bond and Animal Assisted Therapy. Additionally, she developed and implemented an AAI that pairs adjudicated, at-risk and homeless youth with hard-to-adopt rescue dogs for a multi week, intensive therapeutic intervention called “Teacher’s Pet: Dogs and Kids Learning Together” (Michigan). From 2012-2014, she was co-PI on an NIHCD (Mars/Waltham) R03 study with Wayne State University (Detroit) that measured the efficacy of the AAI (Teacher’s Pet) at two residential detention facilities. She was also instrumental in getting the Competencies accepted and endorsed by the American Counseling Association (ACA) and is the co-facilitator of the ACA’s Human Animal Interventions in Counseling Interest Network. Professor Tania Signal comes originally from New Zealand where she received her PhD in Psychology from Waikato University working within the Animal Behaviour and Welfare Research Centre. 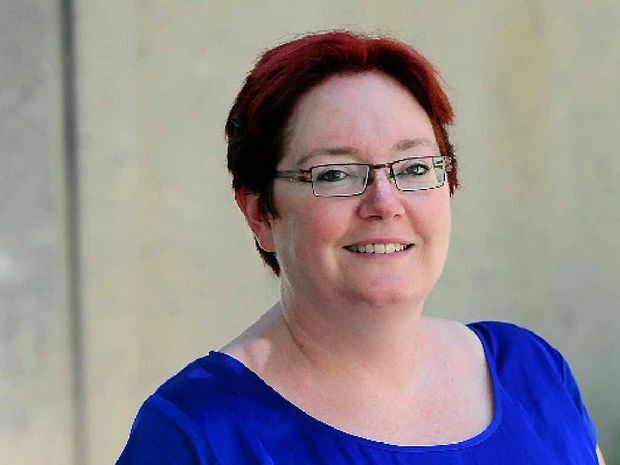 In 2003 she moved to Australia and took up a position at Central Queensland University, over the past 15 years she has developed a comprehensive research program investigating topics such as links between personality factors (especially empathy), interpersonal violence and the treatment of animals through to community attitudes regarding farm animal welfare and suitable penalties for individuals convicted of animal cruelty offenses. Much of this research involves collaborative work with community partners resulting in tangible benefits for all involved. Tania is a member of the Australasian Animal Studies Group, the Queensland Centre for Domestic & Family Violence, the Appleton Institute and a Charter Scholar Member of the Animals & Society Institute (USA). Clarissa M. Uttley, Ph.D., is a professor of Education and the Program Coordinator of the MEd in Curriculum & Instruction at Plymouth State University. She earned her BS and MS degree in Human Development & Family Studies and her PhD in Psychology (Behavioral Science specialization), from the University of Rhode Island. She is the coordinator of the on-campus pet-assisted-therapy program at PSU. In addition, she has published articles, co-authored book chapters, and presented at national and international conferences. Her current work focuses on the impact of human animal interactions with adolescents, specifically in social-emotional development and issues of restorative justice. Clarissa M. Uttley, Ph.D., is a professor of Education and the Program Coordinator of the MEd in Curriculum & Instruction at Plymouth State University. She earned her BS and MS degree in Human Development & Family Studies and her PhD in Psychology (Behavioral Science specialization), from the University of Rhode Island. She is the coordinator of the on-campus pet-assisted-therapy program at PSU. In addition, she has published articles, co-authored book chapters, and presented at national and international conferences. Her current work focuses on the impact of human animal interactions with adolescents, specifically in social-emotional development and issues of restorative justice. Clarissa M. Uttley, Ph.D., is a professor of Education and the Program Coordinator of the MEd in Curriculum & Instruction at Plymouth State University. She earned her BS and MS degree in Human Development & Family Studies and her PhD in Psychology (Behavioral Science specialization), from the University of Rhode Island. 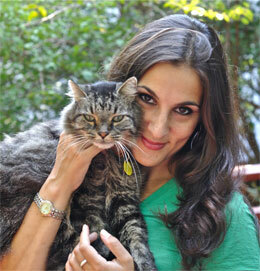 She is the coordinator of the on-campus pet-assisted-therapy program at PSU. In addition, she has published articles, co-authored book chapters, and presented at national and international conferences. Her current work focuses on the impact of human animal interactions with adolescents, specifically in social-emotional development and issues of restorative justice. 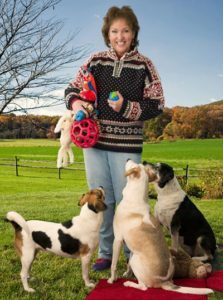 Risë VanFleet, PhD, RPT-S, CDBC is a licensed psychologist in Pennsylvania, a registered play therapist-supervisor, and a certified dog behavior consultant. In addition to her other psychology work, she is the President of the International Institute for Animal Assisted Play Therapy®. She has been active in the development and research of AAPT, and has actively sought to preserve the welfare of animals involved in any forms of animal-assisted interventions. She is the author of the acclaimed and award-winning book, Animal Assisted Play Therapy™, published in 2017 by Professional Resource Press. She lives and works in Boiling Springs, Pennsylvania, but travels nationally and internationally to train other mental health professionals in a variety of psychological and play therapy topics, as well as in Animal Assisted Play Therapy™. Her websites: www.risevanfleet.com and www.iiaapt.org.